Prior to this she represented Bradshaw and Crompton wards. Served on several committees including the Planning and Licensing committees. Represented Bolton on the Greater Manchester Fire and Rescue Authority for 12 years, and was a member of the Bolton Adoption Panel. Qualified as a nurse and later worked as a Disability Officer. She retired from nursing in 2012. 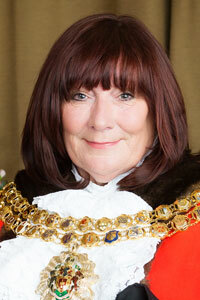 Her husband and Mayor's Consort, Cllr John Byrne also represented Breightmet Ward. 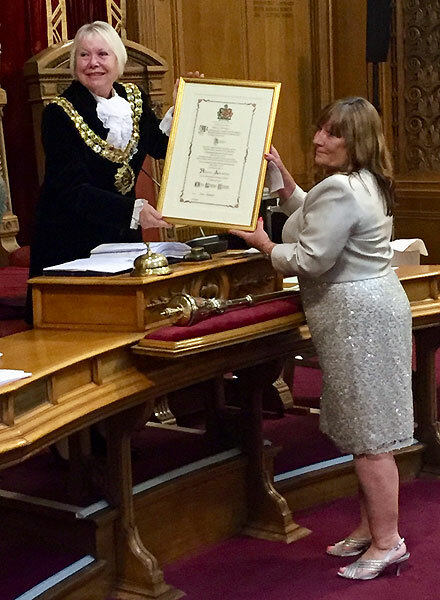 Became Bolton's first Honorary Alderwoman 15 August 2018. 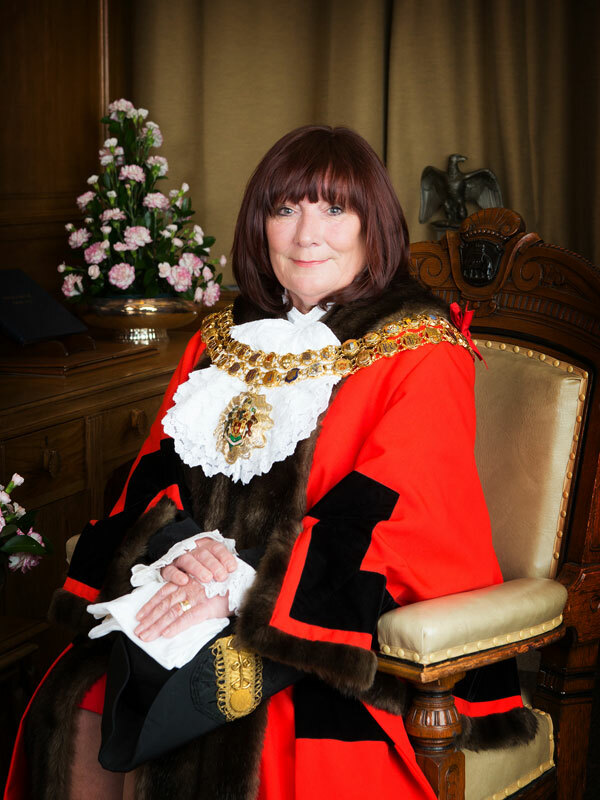 Formal portrait of Lynda Byrne as Mayor of Bolton. 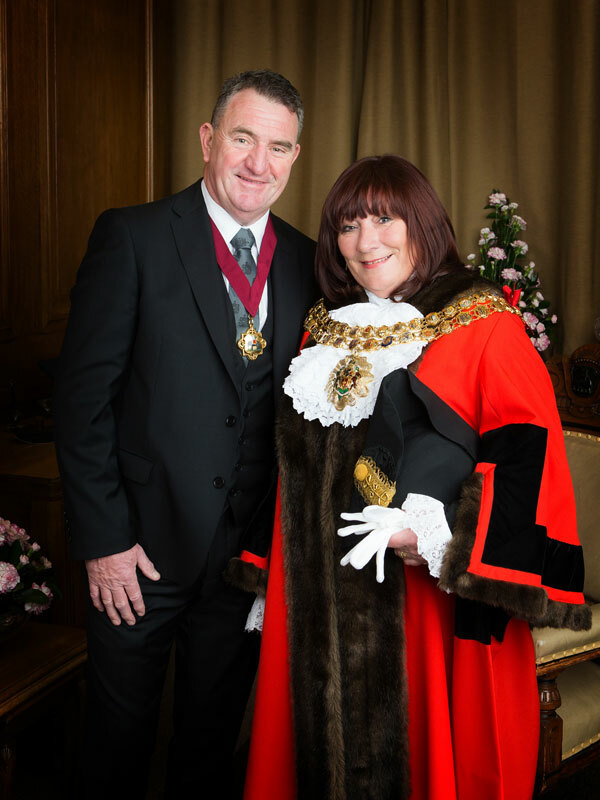 Formal portrait of Lynda and John Byrne as Mayor and Mayor's Consort of Bolton. Lynda Byrne being presented with her certificate as Bolton's first Honorary Alderwoman the meeting of Bolton Council on Wednesday 15 August 2018 by Elaine Sherrington, Mayor of Bolton.